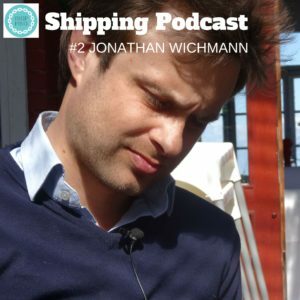 Jonathan Wichmann, Co-founder of Orca Social and Wichmann/Schmidt, is the journalist who turned copywriter and then became the digital communications guru at Maersk Line. Within a year Maersk Line had more than 650,000 followers on Facebook. This interview took place in Copenhagen on April 17th, 2015, one of the first really nice spring days when the sun comes out – and so did many Danes that afternoon – and we became the odd ones out in the yacht club where we decided to make the interview 😉 Apologies for that. Jonathan is very open about his passion for digital communication, and everyone who has seen his work knows that he is very skilful. Jonathan’s marvellous one-liner: “Mark Zuckerberg created this for me!” – One can only agree. Follow @JonathanWich on Twitter and see how he will develop the social media concept for MSC. Once you have listen to this episode, head on over to iTunes and kindly leave a rating and a review and don’t forget to subscribe! Shippingpodcast needs to be spread to a wider audience! Your podcasts are very attractive from minute one. Your voice sounds warm and you connect with the audience. The music makes you smile. By explaining where you met your “victims” and the reason for the background voices, you make us be with you in that veranda or in that bar in Oslo. The noise stops being annoying to become part of the ambiance.